Social Work Assistant Professor Bonita Sharma was appointed as a member of the Council on Global Social Issues by the Council on Social Work Education effective July 2018. The Commission on Global Social Work Education works with other international organizations to promote international programs and projects and to develop the international dimension of the social work curricula. 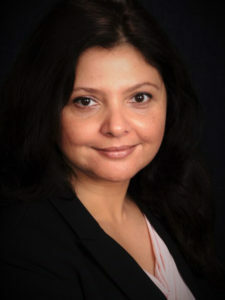 Sharma was selected for her research, practice and expertise in the area of global social work education. “I am honored to have been selected to serve on the Council,” said Sharma. Sharma currently teaches Global Context of Social Work to graduate students in the Department of Social Work.